Shop leading design brands at up to 50% off. Limited time offer. Free UK Delivery On All Orders Over £149. No coupon code required. Click link to activate. 20% Off Any Orders. Give this expired coupon a try, it may still work beyond expiration date. 10% Off Any Orders. Give this expired coupon a try, it may still work beyond expiration date. 15% Off Flos. No coupon code required. Click link to activate. Reversible heavy 100% linen bedspread, smooth with a beautiful shine and drape. Limited time offer. Kitchenware From Under £9. Limited time offer. Wallpapers From Under £1. Limited time offer. 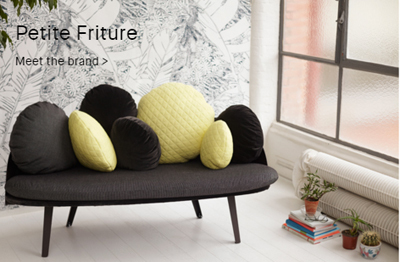 Shop Petite Friture For special discount. Limited time offer. Cushions From Under £13. Limited time offer. Clippings is a carefully curated and seller-powered home ware and design platform that features “stores” with items that their team has found as well as sellers who have applied to and been accepted by their platform for their own stores on the site, designers like Suzanne Goodwin, Bruno + Bean, Waffle Design and more. They have a plethora of decorations and home accessories like wallpaper from Barneby Gates, mirrors, rhombuses for your walls or ceiling, art prints, cushions, candles, even a four person solar powered tent from Bang Bang Tents. They also have rugs, towels, bed covers, and textiles in a variety of colours, styles, and shapes that can’t be found in run-of-the-mill stores around town.